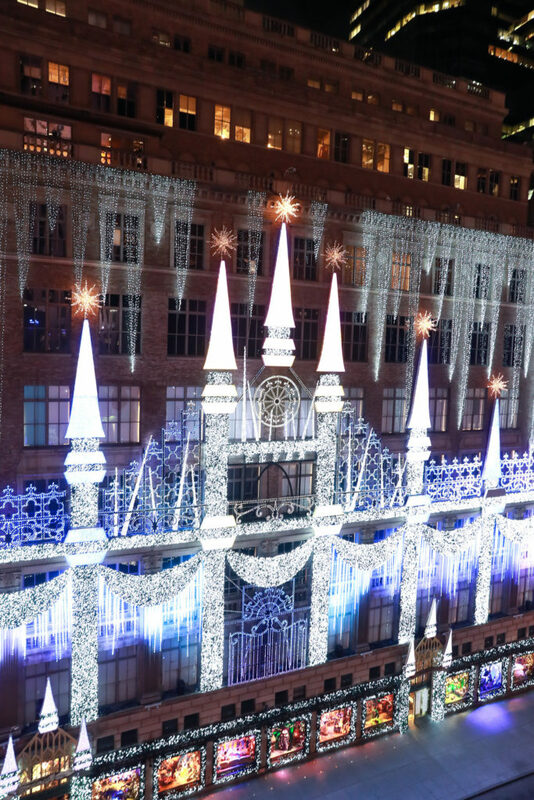 Though we already know that the holiday lights at Saks Fifth Avenue in NYC are a must-see, but this year’s displays are leveling up. According to the press release, “For the first time in the retailer’s 94-year history, Saks Fifth Avenue premieres a digital storytelling animation concept, along with the brand’s traditional vignettes in its New York holiday window display.” The displays will include digital screens integrated with real-life props to tell a story. The November 19 unveiling of the 10-story-tall display is going to be a live event (also streamed online at Saks.com), which will feature 124 Broadway dancers for a show called “Theater of Dreams.” After the big reveal, the window animations and lights displays will continue throughout the holiday season until January 2, 2019.